THE INQUIRY INTO the recording of non-999 calls in and out of some garda stations over three decades has said it is beyond its scope to carry out a full search of 13 years’ of recordings that are on tapes. The Fennelly Commission has published an interim report this evening describing how its task is ”time consuming and labour intensive” as it formally sought an extension to its deadline to 30 September 2016 and extra resources. The commission, chaired by Justice Nial Fennelly, was set up in April 2014 to examine the unauthorised recording of non-999 phone calls in and out of 23 garda stations around the country between 1980 and 2013. The interim report warns that calls recorded on the tape-based DAT system between 1995 and 2008 are stored in such a way that will make them difficult to analyse. A full search for this period would involve listening to approximately 13 years’ worth of recorded telephone calls from 23 stations, something which is clearly beyond the scope of this Commission. The commission is still considering what sort of sampling system to use in order to establish the existence, if any, of recordings between solicitors and heir clients. 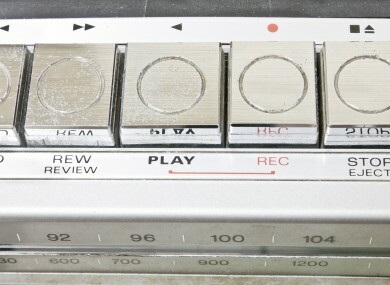 There were other limited, tape-based recording systems in operation between 1980 and 1995, but the Commission has found no tapes or recordings from that period. In better news for the commission, recordings from 2008 to 2013 are in a digital format which will make it easier for them to be examined. The commission has compiled a database of phone numbers from over 500 solicitors and is currently matching those numbers to those in the database of recorded calls to see which clients may be implicated. As well as investigating the installation, authorisation, legality, operation, maintenance, repair, removal, and replacement of the taping system, the commission is also examining the use, reporting, retention and destruction of the recordings and the knowledge of the system’s existence within An Garda Síochána. It is also examining what the Minister for Justice and their department, the Attorney General and their office, the Director and Public Prosecutions, the Data Protection Commissioner and the Garda Ombudsman knew about the system. Three former garda commissions have already given statements to the commission as part of its work to determine what was known about the recording system. The commission has also developed questionnaires for garda superintendents and is carrying out a survey of rank-and-file gardaí about the system through the garda portal. The commission has also sought extra resources, including the employment of three extra junior counsel at a projected cost of €312,000. Witness expenses are expected to run to €17,150, at an average cost of €330 per witness per day. The commission says it cannot say what its final cost will be. Another stand of the inquiry, which is examining the recording of calls from Bandon Garda Station during the Sophie Toscan du Plantier murder investigation, is also continuing. It has already made a determination on the circumstances surrounding the departure of the former garda commissioner Martin Callinan last year prior to the recordings issue being publicly disclosed. Email “Gardagate: 13 years’ of tapes that could be impossible to analyse”. Feedback on “Gardagate: 13 years’ of tapes that could be impossible to analyse”.